BELGRADE, Serbia, July 25, 2018 /PRNewswire/ -- A ManpowerGroup (NYSE: MAN) jury including leaders from across Europe supported thousands of high school students at the JA Europe Company of the Year Competition in Belgrade, Serbia to nurture their learnability and get them work ready. The judges awarded ManpowerGroup's Signature Ready for Work award to Art of Joy (Kunsten a glede) of Norway. Art of Joy's innovative business model to sell 100 percent organic, eco-friendly t-shirts designed by children battling cancer was built on self-reflection, action-based learning and long-term skills development. The winning team was awarded a year-long mentorship program led by ManpowerGroup's Right Management career experts, who will work with the students to develop hard and soft skills, provide work experience and individual and team coaching to build their employability. "When 65 percent of the jobs young people will do don't exist yet, a blend of hard and soft skills combined with the ability to continually learn is the winning formula for students to get ready for work," said Stefano Scabbio, President of Northern Europe, Mediterranean & Eastern Europe for ManpowerGroup. "Congratulations to the deserving winner of this year's award - Team Kunsten a glede from Norway. These future leaders and young entrepreneurs demonstrated agility, collaboration, perseverance and creativity – skills that will serve them well in this fast-changing world of work. We look forward to continuing our longstanding relationship with JA Europe to help hundreds of thousands of students upskill, nurture their learnability and become work ready, not just graduate ready." The awards ceremony marks the second of a three-year partnership between JA and ManpowerGroup spanning 39 countries in Europe. The Ready for Work award recognizes entrepreneurship and different aspects of work readiness each year. The award is part of JA Europe's flagship Company of the Year competition which encourages young people to develop business skills by setting up and running a mini company for a year. More than 340,000 students across Europe participate. 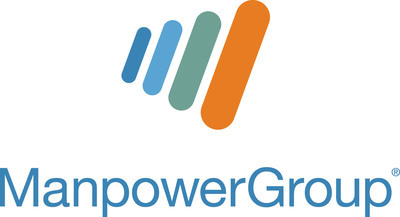 Read more about ManpowerGroup's partnership with JA here. The Learnability Quotient (LQ)™ is a web-based visual assessment developed by ManpowerGroup, the leading global workforce solutions company, and Hogan X, the new analytics division of Hogan Assessments, the leading provider of personality assessments. This short, responsive assessment identifies an individual's LQ™ to provide insight into their motivation and style of learning. Results are expressed via three dimensions – Adventurous, Intellectual and Unconventional – and LQ™ helps organizations and individuals to succeed. For more information, visit www.learnabilityquotient.com.